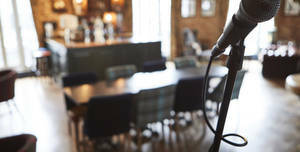 We can provide audiovisual equipment. Free parking for 2 cars within the stadium for organisers only. Nearest underground is Putney Bridge on the District Line. The stadium is approximately a 15 minute walk through Bishops Park from Putney Bridge. There are multiple breakout areas. Fulham Football Club is a very atmospheric, intimate and iconic stadium. 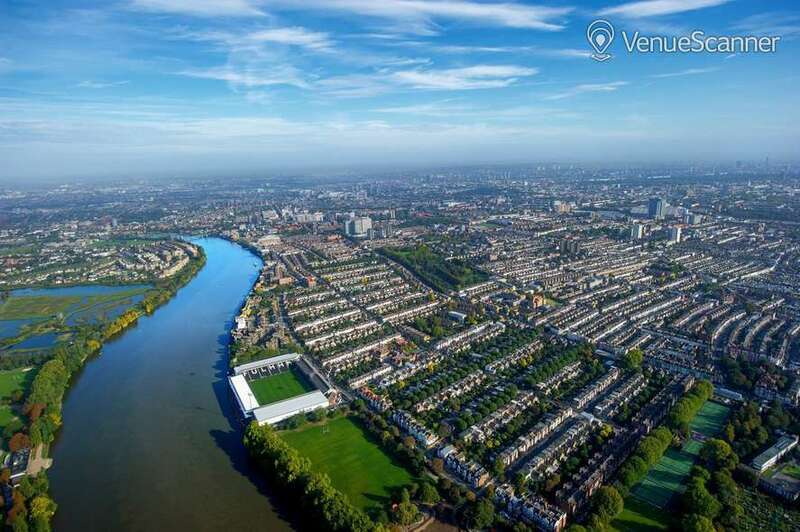 It is located on the banks of the River Thames and is known for its history, listed status, and for being a compact, friendly stadium. Smaller event spaces with spectacular views of the river or pitch are on offer rather than vast atriums and rooms. 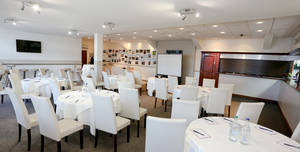 Whether hosting a small business meeting in one of the stylish boardrooms, a dinner in the riverside McBride's, a marquee event in Bishops Park or on the Riverside Terrace, a package can be tailor made to suit individual requirements. 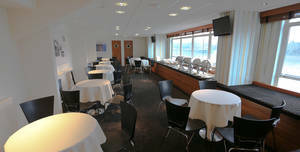 Within the stadium itself there are a variety of spaces with a capacity of 6 to 150 guests. Each space has a different look and feel, from unique and historical to traditional and contemporary - making it ideal for most styles of event. 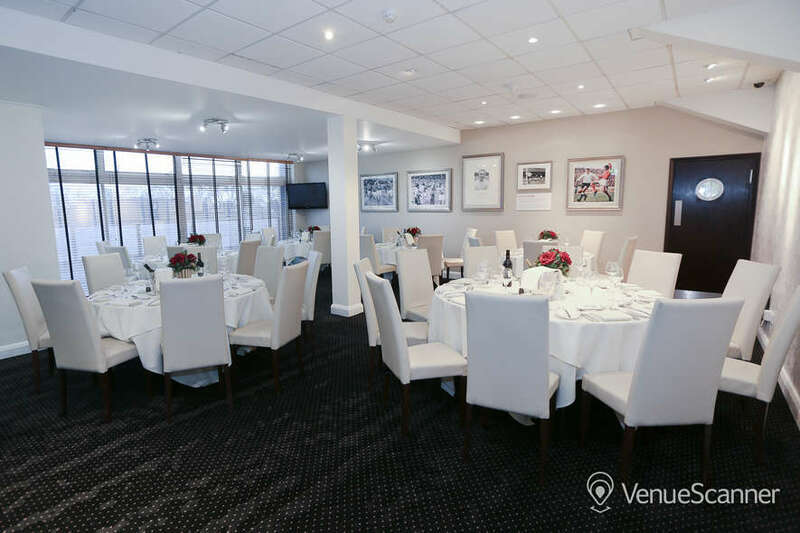 A new offering for 2018/2019 is our Day Delegate package for up to 40 delegates to use the Press Room and Players’ Lounge within the historic Craven Cottage itself to offer a unique experience to delegates. Prices for this package are bespoke and on request only. 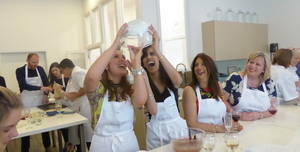 To enhance a day meeting we also work with team building companies. The team build experience can either be an addition to a meeting or conference or the main element of the day and the companies that we work with offer anything from energisers to full blown outdoor event team builds that we would accommodate in the adjacent Bishops Park, subject to availability. This adjacent park space gives options for large team building and sports day activities, perfect for corporate summer parties or family fun days. Prices are subject to numbers and the type of activity required. Enjoy business meetings or social occasions in comfort and style in the George Cohen Lounge. 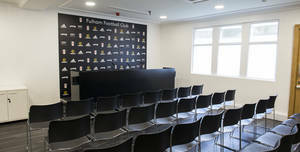 Fulham Football Club is a very atmospheric, intimate and iconic stadium. 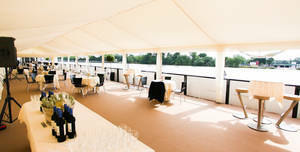 McBride's is a contemporary lounge with spectacular riverside views and access to a terrace on the banks of the Thames. Fulham Football Club is a very atmospheric, intimate and iconic stadium. 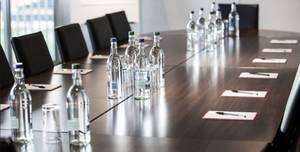 Perfect for corporate breakout sessions, meetings, interviews or small gatherings, the Executive Suites are available to hire on their own or together to offer adaptable space. Fulham Football Club is a very atmospheric, intimate and iconic stadium. 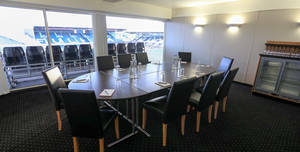 The Superbox is the combination of three Executive Suites/Boxes opened in to one large room. Fulham Football Club is a very atmospheric, intimate and iconic stadium. As the name may suggest the Gin Bar is a unique space for after Gin Masterclasses after a meeting or to hire for an intimate celebration. Fulham Football Club is a very atmospheric, intimate and iconic stadium. 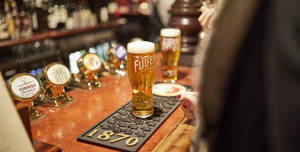 The elegant décor of the Chairman's Club pays homage to Fulham's illustrious past. 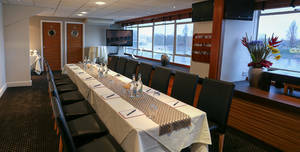 Fulham Football Club is a very atmospheric, intimate and iconic stadium. 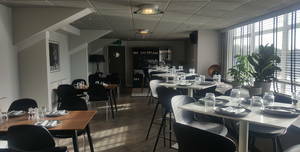 Bearing the name of Fulham's most influential player, the Haynes Lounge is an exquisite, self-contained venue that features amazing riverside views. Fulham Football Club is a very atmospheric, intimate and iconic stadium. 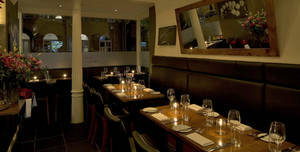 This space is perfect for Xmas Parties and corporate events. We can offer many different options. Drinks areas are always available to reserve in the pub. For more information please contact us by sending enquiry :). 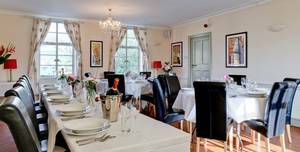 We offer a unique form of ‘culinary therapy’ for business professionals.Our experiences are less about cookery instruction and more about the atmosphere of a homely kitchen. BEST has five adult pitches available for hire. 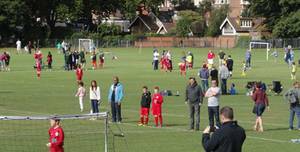 Barn Elms Sports Trust (BEST) is a charitable trust dedicated to ensuring the future of the sporting provision on the old Barn Elms Playing Fields site (SW13). Wonderful riverside dining awaits at The Dove, set in a beautiful spot within Chiswick. 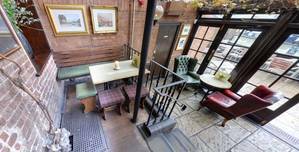 A charming, much-loved pub with incredible history, The Dove has been a fixture of London life for centuries..
For more information please contact us by sending enquiry :). 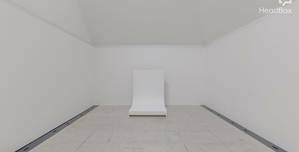 Looking for one of the top creative studio hire London has to offer. 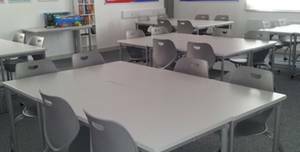 Light and airy modern classrooms perfect for small meetings, tutor groups and general classes. 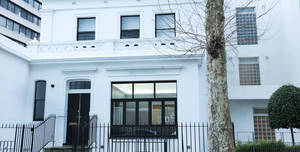 Wonderful state of the art building conveniently located near Imperial Wharf overground station and bus routes into central London. 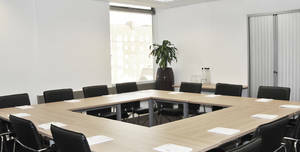 Conference room ideal for small meetings. Layouts include conference, classroom and u-shaped. 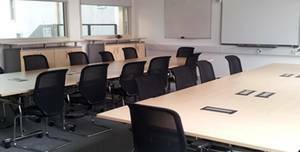 Wonderful state of the art building conveniently located near Imperial Wharf overground station and bus routes into central London. 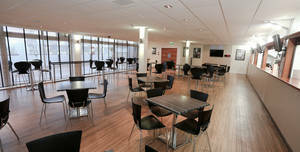 Our main hall can accommodate 200 persons also has a kitchen that can be used. 5 mins walks from Hammersmith Station and good Bus Links. 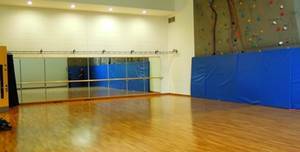 Multi use dance/exercise space with full length mirrors on one wall and ballet barre. 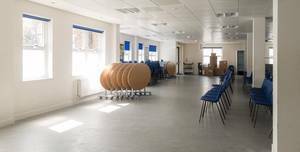 Wonderful state of the art building conveniently located near Imperial Wharf overground station and bus routes into central London. 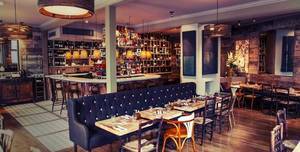 Searching for Christmas drinks venues in London? We've wrapped up a bundle of inspirational drinks venues! With over 1000+ rooftop venues right across London, start your search here! Training top talent? 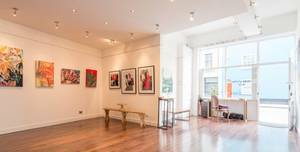 Take a look at our favourite training rooms in London to boost motivation. Looking for inspiration to host a London Christmas party unlike any other? Find the best Valentines day party venues right here! Best football ground in England! If you want to see a traditional old school football ground then Craven Cottage is the place for you. The ground is wonderful and it's very family-friendly. One grumble is the very slow bar service at halftime - folks, pour the pints before HT and have one person pouring and the other person handling the till. Oh, and make sure you order enough beer - the Hammersmith End ran dry when Derby were last in town. Otherwise brilliant! #COYW!! Great venue for soaking up the atmosphere at a football match. The grounds are historic and quirky and nothing like the impersonal new super stadia that are taking over the country. This is how football is meant to be experienced. There is a great family feel to The Cottage and it is not unusual to find three generations of loyal supporters enjoying a match together. Another great place of English football. Respect, love, faith and curtiousy is part of club. Great time of outing there. What can I say? I’m a Fulham supporter, so I love this place. It’s like a second home. There’s a coffee shop outside. Stadium store accessible from outside. 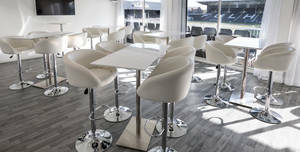 Inside the ground are your typical football ground food and drink options. I’ve done hospitality a few times and that’s always excellent. If the notice of cancellation is received at least six (6) weeks prior to the Event -25% of the Fees; If the notice of cancellation is received at least four (4) weeks prior to the Event – 50% of the Fees; If the notice of cancellation is received at least two (2) weeks prior to the Event – 75% of the Fees: If the notice of cancellation is received less than fourteen (14) days prior to the Event – the outstanding amount of the Fees; and Any costs or expenses incurred by the Company for the purchase or provision of third party services and/or products for and on behalf of the Customer which have been contracted for but not yet provided prior to cancellation of the Event will be due for payment. After 24 hours, refer to Events's Cancellation Policy: If the notice of cancellation is received at least six (6) weeks prior to the Event -25% of the Fees; If the notice of cancellation is received at least four (4) weeks prior to the Event – 50% of the Fees; If the notice of cancellation is received at least two (2) weeks prior to the Event – 75% of the Fees: If the notice of cancellation is received less than fourteen (14) days prior to the Event – the outstanding amount of the Fees; and Any costs or expenses incurred by the Company for the purchase or provision of third party services and/or products for and on behalf of the Customer which have been contracted for but not yet provided prior to cancellation of the Event will be due for payment.